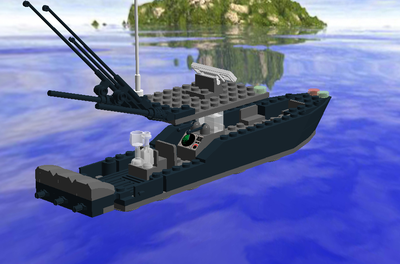 Hello everybody, welcome to the Lego Fishing Pole. 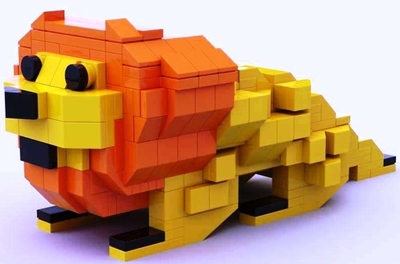 This is a fun build for all ages that is suitable for displaying or playing. It contains a working reel that can be used to raise and lower the hook. On the string is a bobber that can be removed at any time. Shockingly, the fishing pole is capable of hooking and lifting light objects. 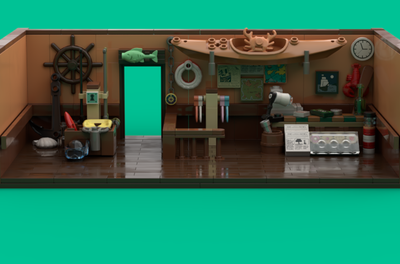 The stand for the fishing pole is covered with Lego objects that are found in everyday fishing. 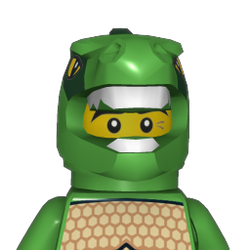 They are as follows: a minifigure scale fishing pole, an alternate hook, two buckets, two fish, two oars, and two nets. The fishing pole is approximately 32 inches long, 4 inches wide, and 1 inch high. The stand is approximately 20 inches long, 1 inch wide, and over 6 inches high. 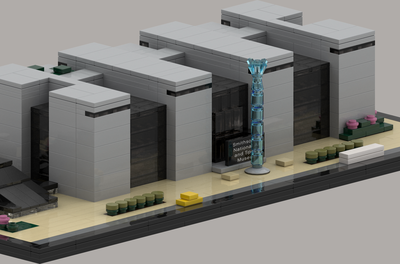 This is a joint build between Brickcorps and Identicalbrick.